Vinessum is an event born with the intent to promote an idea of wine as the fruit of artisan work, representative of the territory. Wine understood therefore as a traditional, cultural, human and humanistic value, not just a tasting. 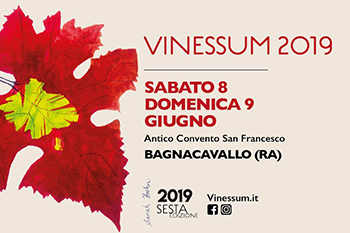 The sixth edition of Vinessum will be held once more in the magnificent setting of the Antico Convento San Francesco in Bagnacavallo (Ravenna) on Saturday 8th and Sunday 9th June.